Information Technology Services (ITS) maintains a reliable technology infrastructure and provides technology services to the campus community consistent with the mission and vision of the University. ITS provides support, training, computer, network, and Internet services to the entire University. We connect the campus community members to each other, to their work and studies, and to the information and technical resources they need to achieve their goals. Service is our central focus, inspired by the Marianist charism found throughout our institution’s operations. If you already have a “stmarytx.edu” account, you cannot request a guest account. You will need to log in using your St. Mary’s credentials. More information is available on Gateway. Open your web browser if you are not automatically redirected, and wait for the login page to load. If your browser does not automatically display the login page, please visit a website you have never visited before to activate the login page. Select “New Guest” from the list of options. Upon submission, you will receive an email with your login and password (at the email address you registered with). These credentials will be valid for 24 hours. You can now proceed to use the St. Mary’s Wifi Network. Please note that the Technical Support Center is located in the Charles Cotrell Learning Commons, on the first floor of the Blume Library. The main ITS offices are located in Charles Francis Hall on the first floor. St. Mary’s University takes the issue of file sharing seriously. Read the complete University Statement on File Sharing and Peer-to-Peer Technologies. Hours: Monday-Thursday 7:30 a.m. to 10 p.m. and Friday 8 a.m. to 5 p.m.
After hours: Email tsc@stmarytx.edu or leave a voicemail to be returned the next business day. St. Mary’s University provides faculty, students, and staff easy connection to Wi-Fi while visiting other academic institutions worldwide. A new wireless service known as eduroam allows users from participating institutions to access a secure, encrypted wireless network using their home organization’s login credentials. St. Mary’s faculty and students who travel throughout the world can use their St. Mary’s credentials when studying or visiting other eduroam institutions. With eduroam, you do not need to request a guest account at the institution you are visiting. The eduroam network is used by more than 400 other U.S. higher education institutions and nearly 1,000 institutions worldwide. Visit the eduroam website for the list of participating institutions. 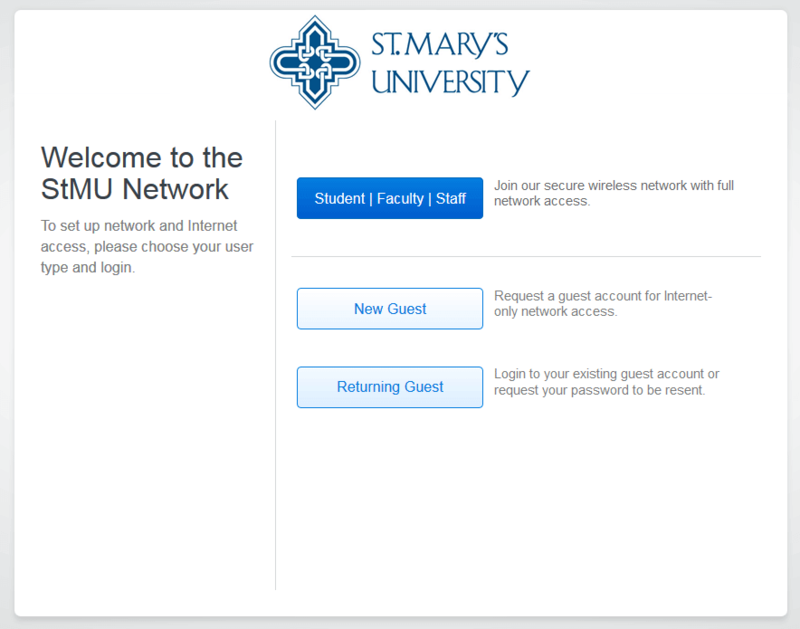 When traveling, St. Mary’s users will select the eduroam Wi-Fi network and use their St. Mary’s University email address and St. Mary’s password to connect. To save time and ensure proper functionality, test your mobile device before leaving the St. Mary’s University campus. Contact Technical Support Services for assistance at 210-431-4357.